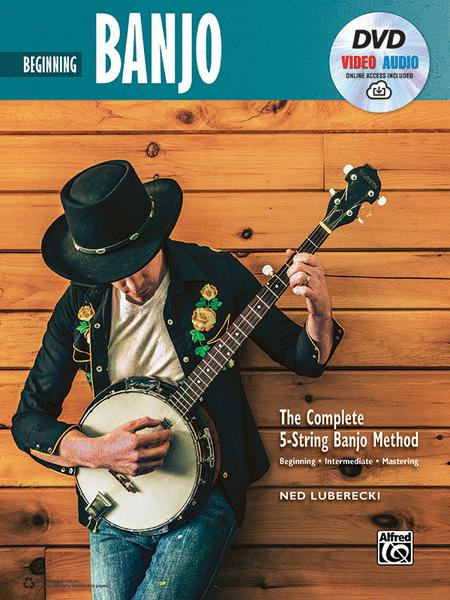 Perfect for beginning banjoists as well as players who want to enhance their knowledge, Beginning Banjo teaches everything you need to know to get started---including chords, strumming, rolls, basic music theory, and reading tablature (TAB). Guitarists who want to expand their musical horizons will also find this to be the perfect introduction to banjo playing. The book features folk, bluegrass, and other classic songs. On the accompanying video, author and host Ned Luberecki's friendly, encouraging style makes learning easy and fun. Featuring practice tips and other essential topics for beginners, this is the most thorough method available for beginning banjo students.